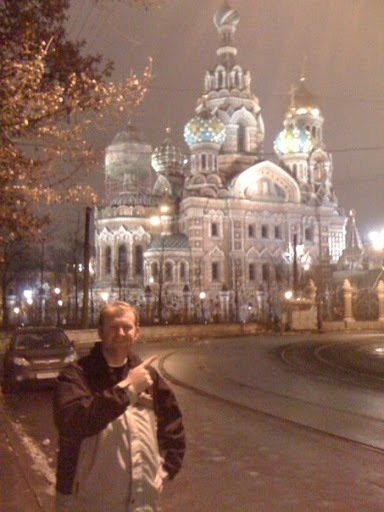 Russia Travel Rocks – St Petersburg to Majestic Moscow – Traveling Epic! I fly into St. Petersburg, and at the booth, I’m a little nervous… What is this border guard thinking and minutes later. I’m in. No worries! I catch a cab to my hotel and spend a couple days at work, but first off, the food doesn’t taste like American Russian food, this is *really* good. It’s not just potatoes and meat. Seriously good food. Too bad I didn’t capture it. It’s not just Piroshkys. 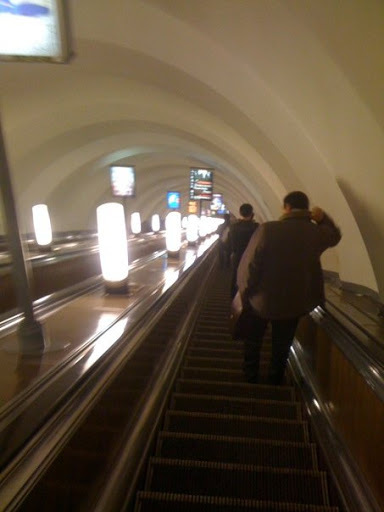 The escalator tube down to the trains are huge, it ironically reminds me of the really long escalators for DC metro. The trains have amazing mosaics. There are communist memorabilia. 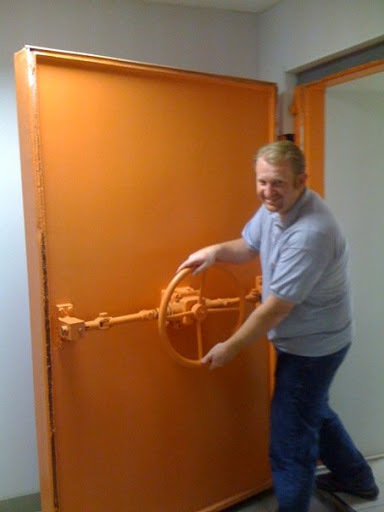 When going to the offices, one of the most amazing things is the nuclear fall out shelters. It is such an incredible moment to put myself in a shelter designed to keep the employees safe from American nukes. Wild. It’s a surreal experience. Walking around St Petersburg, formerly Leningrad, formerly Petrograd founded by the Tsar, Peter the Great. Petrograd was the head of the Russian empire and it very much shows like an imperial city. Having visited a number of the world’s imperial cities, London, Berlin, Lisbon, Rome, Paris, and Washington DC there is a very distinct copying of Egyptian empire. You’d be amazed with how the layout of the temple of Karnack, the (worlds largest religious building and incredibly it’s over 3000 years old,) is copied by these imperial cities in the layout of their cities. Each of them have prominent column or obelisks, many that are from Egypt. Walking in downtown Paris has strange similarities to DC, and these patterns are repeated in many different ways including St. Petersburg. 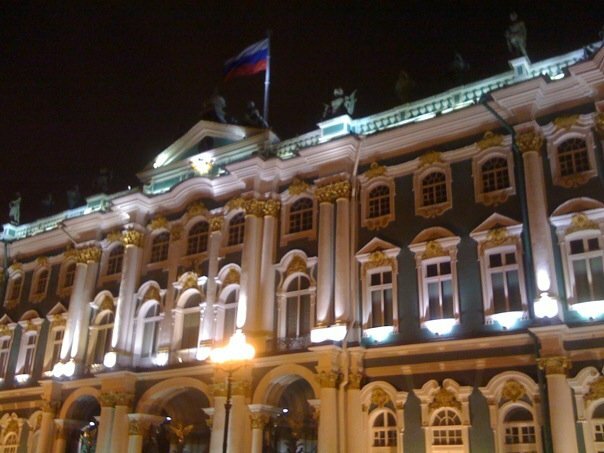 In contrast to Moscow, St Petersburg has ancient imperial buildings. The historic center of St Petersburg is a UNESCO world heritage site. It’s said to be the most western city in Russia. Another parallel is Russia’s own Hermitage which is the Louvre, Smithsonian, and British Museum. Each are an incredible collection of the worlds best art, culture, and historical collection and in a sense tell us the history of the world. Highly recommend a visit to the Hermitage, one of the largest art museum’s in the world. Also compare St Petersburg’s Palace Square to Rome’s St Peters Square where you find St Peters Basilica. I’ve wondered who else sees these same consistencies. So on to Moscow. Awesome quick train ride on the Nevsky express: a 4 hour train ride direct in contrast to a 10 hour drive. I arrive in Moscow, and something you should know is I don’t speak Russian, in fact I don’t really speak much else other than English. I do blame the American school system. Where I grew up I had a little Spanish in 4th grade, and one and a half years of Spanish in high school. I guess that’s not so bad, it’s helped a little in my travels in South America, but the one thing to know about me, is I have NEVER not travelled somewhere because of language barriers. It’s never stopped me, and at this point, it never will. So I step off the train, and based on the instructions on the website, the Marriott hotel where I’m staying is near Red Square in Moscow. I understand I can walk from my train stop to the Metro. It’s not hard getting to the metro, but as I’m walking down the steps I see a man who has fallen. He’s bleeding, and looks very hurt. As he’s getting up, I run over to him with alarm, and ask him if he’s ok. He totally ignores me as if I’m not there. Then I look up and notice two Russian policeman. I look at them and start to ask if they can help him, and they say… the trains are that way. I look back at the man, and I have this strange strange feeling. I don’t know how to react, the hurt man obviously doesn’t want me to get involved, and while conflicted… I decide I’m going to just keep walking. I don’t know enough to know what kind of situation this is. I’m down at the station now, and go up to the window. Which train is to Red Square? She says sorry, then gets another attendant. She doesn’t know what I’m saying. 5 ladies later, I’m just directed to the main downtown lines. There really isn’t any script that’s easy to read. It’s all Cyrillic. Even in Japan, you find there’s some in an alphabet that you can pronounce, but not so here. I start asking around, and I find someone who knows a little english, and running through all the names for what Red Square might be, I think of Kremlin. Ahh that’s the key word!! The Kremlin is a much better word, and now I’m getting clear directions. Really appreciate the help of the guy who spoke a few words in English. There are great helpful people all around the world. 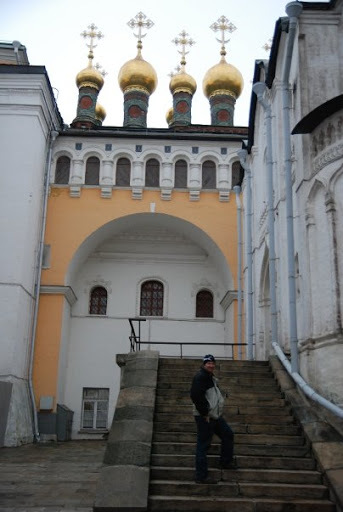 After seeing St. Basils, I started looking around for Taxis. No taxis. I had heard that every car becomes a taxi for a price. So I went out to the street and held out my hand. Sure enough the next car stops. 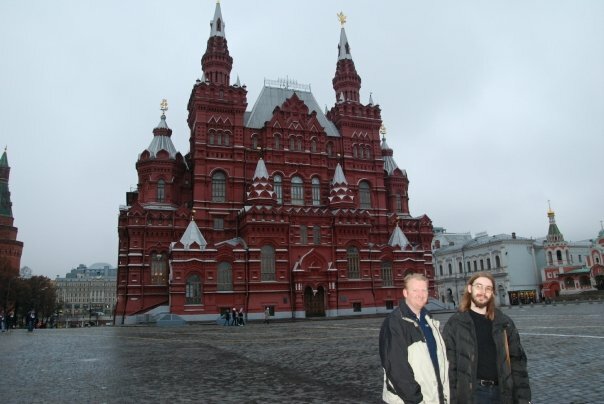 I tell him I’m looking for a Marriott Moscow that is somewhat close to here. He tells me there are 6. Oh great! So we’re off to try to find the Marriott. He calls a friend that knows better English than he does and we use his friend as an intermediary. 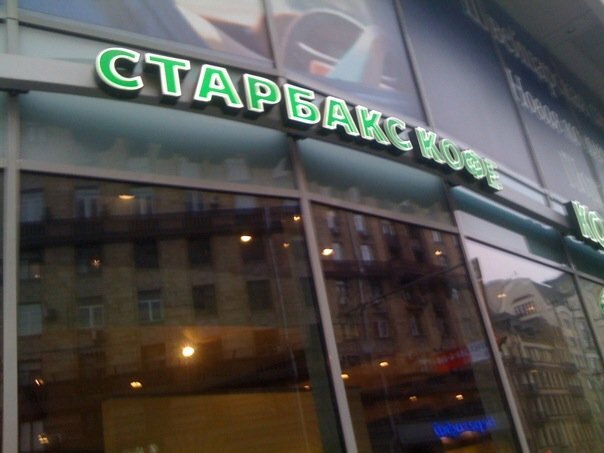 I don’t have the address in Cyrillic. Travel Tip: Get Cryllic copies of all the addresses you need to get to. When I was pronouncing the names it did not help. We had to switch cars before I’d find someone who knew the Marriott I was talking about, but like always, it works out and I had a great time. I met Oksana on Twitter as I was trying to track down the SharePoint User Group in Russia. She was awesome. She met me at my hotel, and with another of her friends from the technical community, we went back to Red Square during the day when things were open. It was great. We went on a tour of the whole area. We saw the presidential place, or white house equivalent featured in the recent Mission Impossible 4 movie. As well, we walked among the center of the Russian Orthodox church, and many amazing examples of the national cathedrals. The beautiful gold domes definitely captured my interest. It’s been amazing seeing those gold domes around the world. There’s a lot in the area. Lots of buildings and history. In fact, while I didn’t see much outside of this area, it was worth spending most of our time there and getting the tours. Borrowing the description from Wikipedia “Red Square (Russian: Красная площадь, tr. Krásnaja Plóščaď; IPA: [ˈkrasnəjə ˈploɕːətʲ]) is a city square in Moscow, Russia. The square separates the Kremlin the former royal citadel and currently the official residence of the President of Russia, from a historic merchant quarter known as Kitai-gorod. As major streets of Moscow radiate from here in all directions, being promoted to major highways outside the city, Red Square is often considered the central square of Moscow and all of Russia.” From what I understand, in the west we call it Red Square, but that isn’t what the Russian’s call it or what the translation above might even be. It’s not a literal translation. As well that cool building with all the onion domes is St Basil’s Cathedral. How often do you hear that name? Red Square you’d think would refer to the bricks in this buildings, or as in the Red army. No, apparently krasnaya means Red or more acurate… Beautiful as in the reference to St. Basils. The history of the area goes back to Ivan the Great. 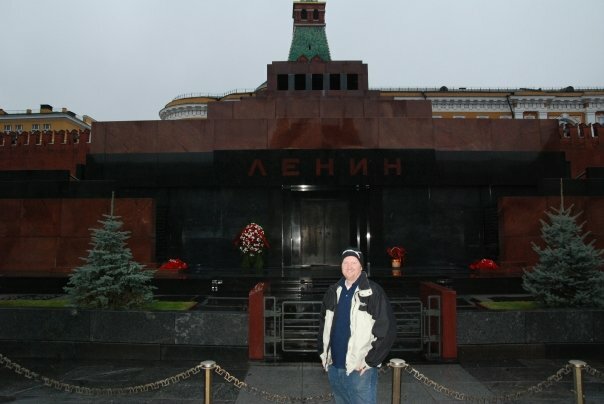 One place that definitely stands out in the square is Lenin’s tomb. 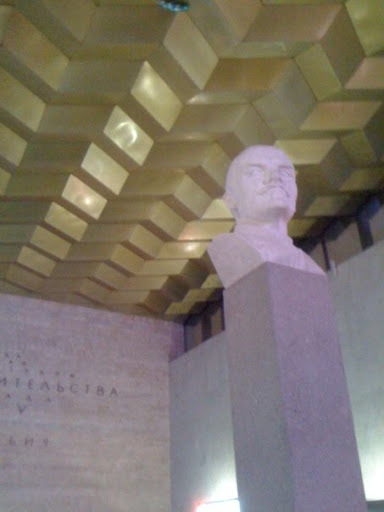 Lenin is still lying there since 1924. He’s been mummified, and if I believe all the stories I’ve heard, there was a special agency designed to preserve Lenin. I couldn’t take any pictures inside the mausoleum. It is worth comparing to the tomb of King Tut who is also still lying in his tomb despite the fact that all of his stuff is scattered around the globe on various King Tut tours. You can also make an analogy to the step pyramid in Egypt. He wasn’t alone. Stalin was next to him for more than 10 years, until the De-Stalinization. The Mausoleum is open every day from 10:00 am to 1:00 pm, except holidays, Mondays and Fridays. Visitors still wait in lines to see Lenin’s body although they are not as long as they once were. Entrance is free of charge. I ended up paying off someone, so I could get in front of the line and make my meetings. That’s no problem in this culture. No one seemed to have any problems with it either. 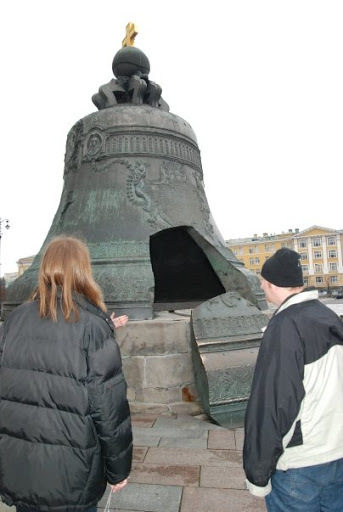 This massive bell… remind you of the Liberty bell or the holy hand grenade? really enjoyed my time with the technical community. While politics aren’t ever going to be the same as the U.S. that’s understandable. America has made a footprint. Interesting to see the locals getting excited about Starbucks. Feels like the next level of McDonalds a little bit to me. I am excited to be able to better understand the desires of the hearts. People all ultimately want the same things, but don’t have the same ideas for how to arrive there. I once sat next to a mail order bride on an 11 hour flight to Amsterdam. I learned all about how life was better for her before things got bad in Russia, and that there was little hope after things collapsed. There’s a lot of perceptions and considerations. It’s by far not as simple as Communism is the root of all evil, there was an ultimate utopia they were after, but many died in these pursuits. I also understand you couldn’t travel well in those times. That definitely wouldn’t do for guys like me. I do hope Russia and the West all find a happy place where we can continue to work together for world peace. I really love my Russian friends, and Russian speaking friends. 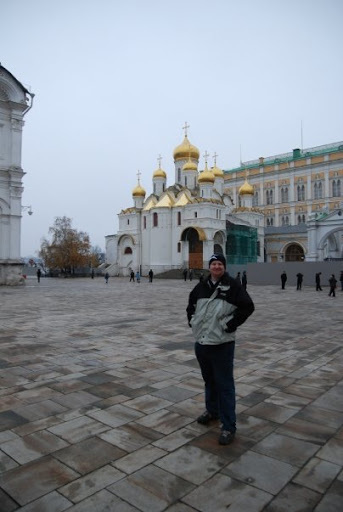 I’d be happy to go back to Russia, and plan to do the Siberian Railway sometime. Great travel story Joel! 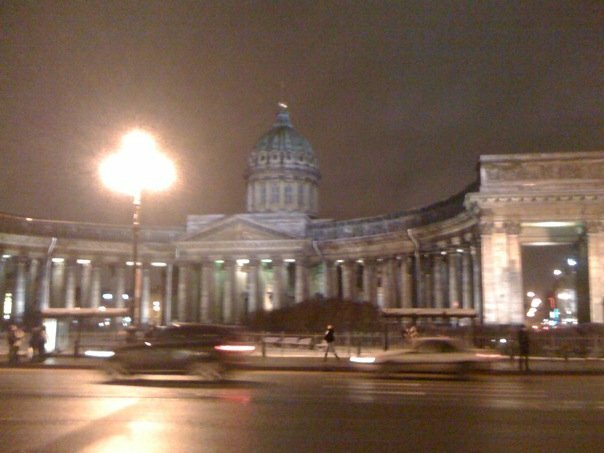 I’ve been to st.Petersburg twice and I also love this city.